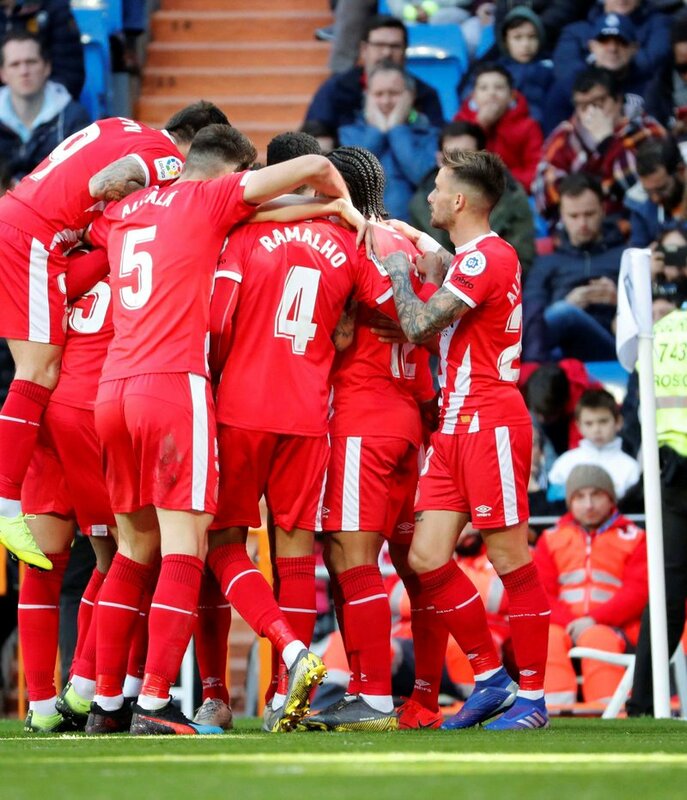 Players celebrate a goal in the Bernabéu victory. EFE. 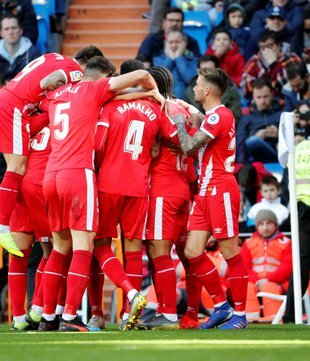 In the 12 league games since our last column, Girona have won three – all away from home, at Real Madrid (2-1), Rayo (2-0) and Leganés (2-0), drawn four – at home to Getafe and Alavés (both 1-1) and Real Sociedad (0-0) and away at Levante (2-2), and lost five – at home to Barça (2-0), Huesca (2-0) and Valencia (3-2) and away at Betis (3-2) and Eibar (3-0). Although that sounds fairly steady, those three wins have come in the last five games and brought some welcome respite from a run of 10 league games without a win from early December to mid February, including four straight defeats at the start of the year. Remarkably, that run was brought to an end by a 2-1 win at the Bernabéu against a Real Madrid that had been on a five-game winning streak in the league, Stuani and Portu nabbing the goals and Sergio Ramos being sent off in the last minute, providing a measure of revenge for their two recent King’s Cup defeats at the hands of the Merengues. 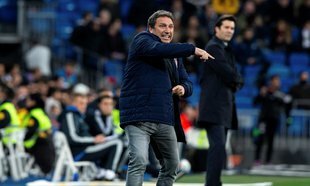 Those 12 league games since mid-December have brought 14 goals for and 18 against, the 13 points gained leaving Girona in 12th place in the league, with the same points total as Espanyol – 34 – and the spectre of relegation no longer a haunting possibility with 10 games of the season remaining and teams like Celta, Rayo and Huesca barely able to pick up a point between them. 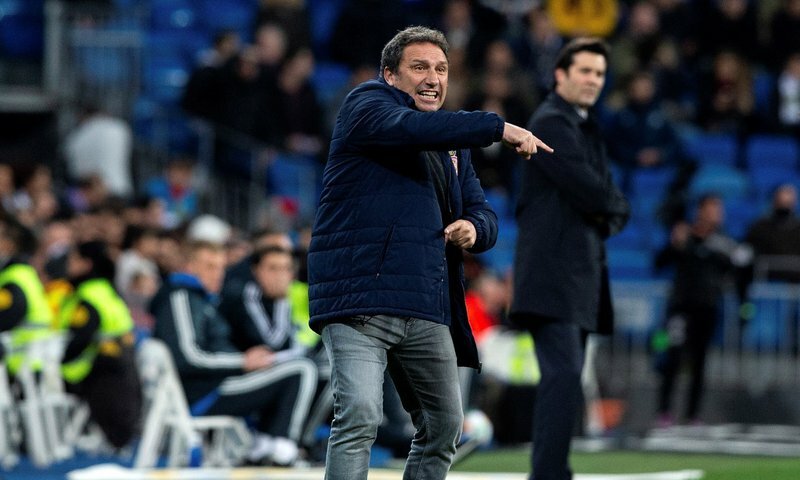 As for the Cup, following an impressive run that saw them dispose of Alavés (4-3 on aggregate) and Atlético Madrid (4-4 on aggregate, Girona through on away goals), a 7-3 aggregate mauling at the hands of Real Madrid put an end to any hopes of silverware this season, and that despite being well positioned at 2-2 with 25 minutes to go in the first leg at the Bernabéu.